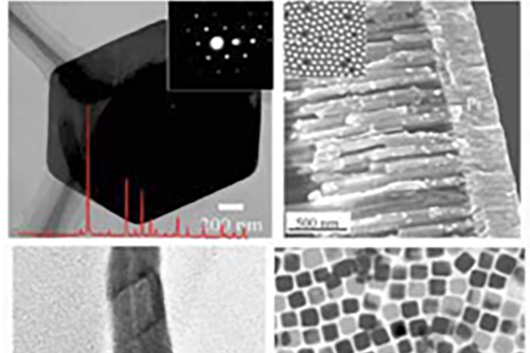 "Designing and Studying Perovskite Materials for a Renewable Energy Future" - Over the past decade research in the group of Prof. Burda has focused on the idea to design nanostructured materials with targeted opto-electronic properties. The overarching criterion is that nanoscale materials and interfaces can enhance specific physical properties in ceramics, semiconductors, and metals. In this talk, the synthesis and related excitonic properties of methylammonium lead halide perovskites and their mixed halides are presented with a focus on time-resolved photoluminescence and transient absorption spectroscopy. The substitution of a fraction of bromide with chloride anions leads to a distorted unit cell due to the smaller radius of the chloride anion relative to the bromide ion and thus to decreased symmetry and an increased band gap. Femtosecond laser induced transient absorption and photoluminescence measurements show that defects contribute to the relaxation processes in photoexcited perovskites. In addition, under two-photon excitation, longer excited state lifetimes could be assigned to the lowest exciton with surprisingly different properties compared to the one-photon created states. Origins and implications of these materials properties will be discussed. Faculty host: Martin Fischer. Refreshments will be available before the event in room 130.